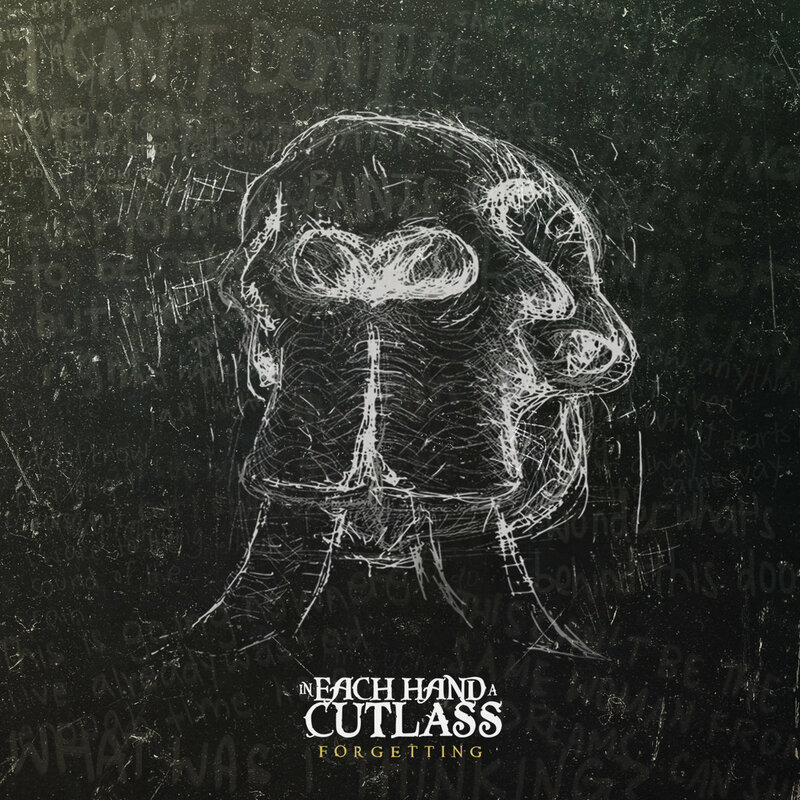 In Each Hand A Cutlass (IEHAC) – together with The Observatory – is probably one of Singapore’s premier progressive art-rock bands and thus, not only is it exciting news that IEHAC is currently recording a new album with legendary producer Brad Wood but in fact, has made available a two-track EP to whet appetites for the awesome new music to come. These two tracks viz. the psych-folky “All We Are Left With Is A Memory Of A Memory” and the post-metallic “Appetite for Dysfunction” certainly do the job, especially if you love prog rock! And when you consider that the EP is going for a buck, then a purchase is simply a no-brainer, my friends. Not only that but the band collaborated with comic artist Troy Chin for his online interactive comic, called Forgetting, which the song “All We Are Left With Is A Memory Of A Memory” is the soundtrack to. His excellent noir-style comic is at www.drearyweary.com/Forgetting – go forth and choose your own adventure. 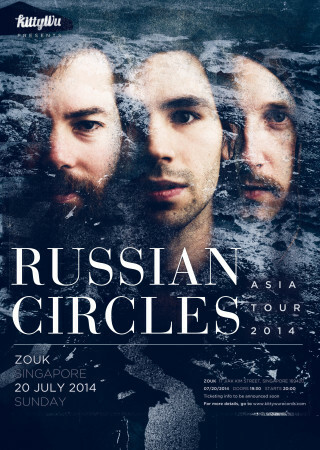 Pleased as punch that post-metal band Russian Circles are returning to Singapore for their third gig here! Ticketing details to be announced soon. Go to www.kittywurecords.com for updates. 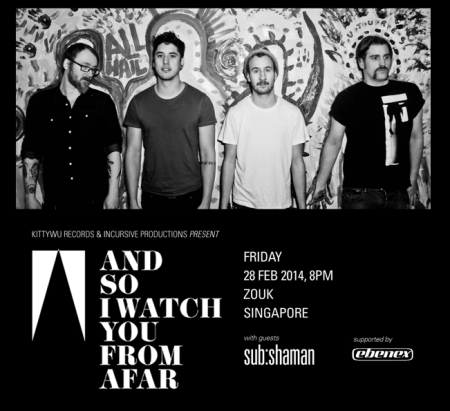 Awesome news for fans of alt-rock of the instrumental persuasion as Irish band And So I Watch You From Afar finally makes its way to our neck of the woods on Friday 28 Feb at Zouk. Supporting them will the up-and-coming progressive alt-rock outfit sub:shaman.